Ever wondered what you need to be doing with your life? Are you aware and/or making the best use of your unique gifts and talents? Do you find yourself playing out the same self sabotaging tendencies? 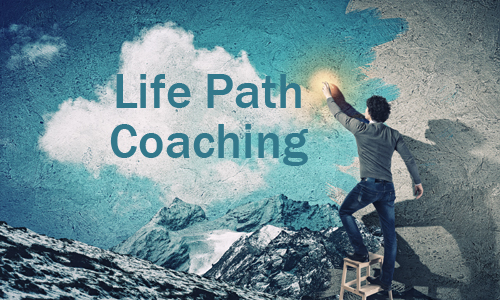 If you answered yes to any of the above questions maybe it is time it is time to invest in a Life Path Coaching session. Your unique gifts and talents as well as how to leverage them for success. Why life sometimes doesn't work the way you want it to. Your major self sabotaging tendencies and how to move beyond them. People who feel stuck and are finding it difficult to move forward. People who know that are not making the most of their life and their talents. The coaching session is conducted in the comfort of your own environment via Skype. The session is 1.5 in duration. To ensure that the coaching session is right for you the first 15 minutes is free. If at the end of 15 minutes you find that the session does not match your expectations you can walk away without incurring any fees. A printed report outlining your unique life plan. Additional information and activities to further deepen and develop your understanding of your unique life path. I had the pleasure of having a Life Purpose Coaching session with Jule Fuller. I was needing to find a purpose in life, since recovering from a cancer related illness diagnosed and treated five years ago. The opportunity for the coaching session, I believe was orchestrated by a higher power. Jule was able to define the events, thoughts, attitudes that were blocking my intuition and insight. As if cleaning a dusty mirror, she was able to gently apply a polish that enabled me to see myself reflected as a person worthy of receiving, and to resume tapping into my intuition for the highest good, and recognising and utilising other talents that had been lying dormant. Jule’s approach is one of sensitivity and understanding. Her ability to describe my nature and personality within the framework of her specialised practice was extremely accurate. Upon hearing her I fully trust her guidance. While it has been some time since I first spoke with Jule I am continuing to take ownership for navigating within my new path, and with ongoing enthusiasm I am exploring my self even further by completing my personal “commitment journals” as I call them. These have been structured by Jule according to my blue print she has so magically and intuitively visualised. Being mature aged, there have been many people who have crossed my path. Some being more influential than others. Jule is one of those few people. As mentioned earlier I believe we were meant to connect. I have a different outlook and belief now. The words Second Chance were mentioned during our conversation, and they have become a driving force in motivating me to, first of all, believe in my self, and in doing so, make a positive difference for those who may cross my path. I do thank God for Jule and being in her good hands. If I could make a recommendation, it would be to bypass any temptation of having second thoughts about utilising a Life Plan Coaching session with Jule as a holistic means for living your life to it’s full potential.